E.ONhas officially inaugurated the offshore wind farm Kårehamn near the Swedish island of Öland in the Baltic Sea, and the Swedish Energy Minister Anna-Karin Hatt was present at the event. The wind farm was connected to the grid a few weeks ago, after 19 months of construction. Sixteen Vestas V112 turbines will produce a total of 48 MW. The investment volume for Kårehamn is around € 120 million. 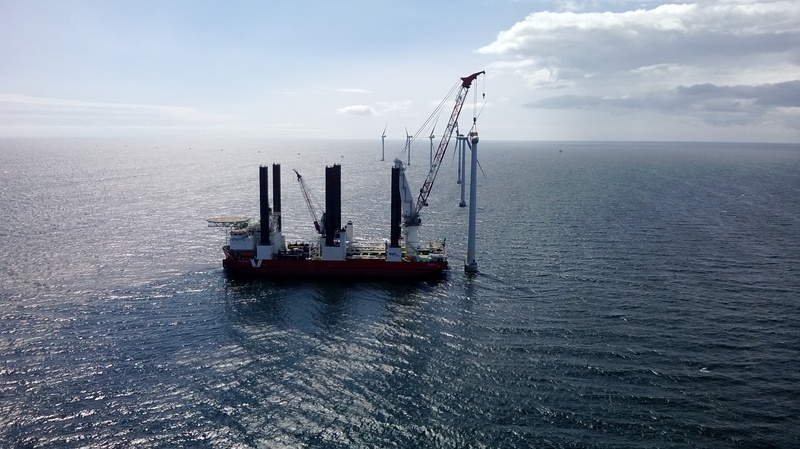 The systems were installed using the MPI Discovery, an installation vessel that E.ON commissioned specifically for the construction of its offshore wind farms and has chartered exclusively for the next six years. The MPI Discovery is equipped with six jack-up legs, which can lift the entire 140 m long and 40 m wide ship out of the water. This creates a stable platform from which foundations and wind turbines can be securely installed, even in rough seas. E.ON has invested approximately € 4 billion in offshore wind farms in recent years, and it has already constructed eight offshore wind farms in the North and Baltic Seas, partly in cooperation with partners. E.ON is currently building the project Amrumbank West in the North Sea. The wind farm, which consists of 80 turbines with a total power of 288 MW, will be connected to the grid in 2015.